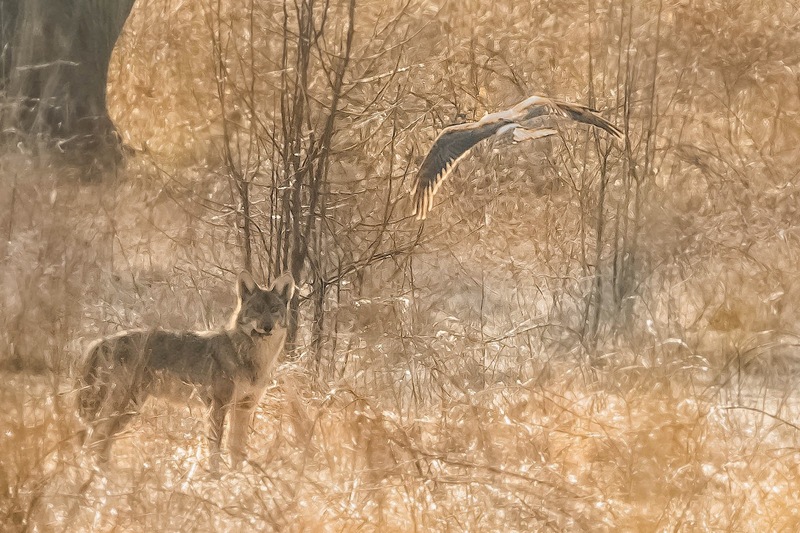 The light was harsh and I was in the wrong position when I came across the coyote with a vole in its mouth and a harrier overhead. Even so, a thrill to see on the first day of Spring. Click photo for better view.